Community E-Forum to host discussions and ideas around issues that have a bearing on our mission: to make our community a better place for us all. 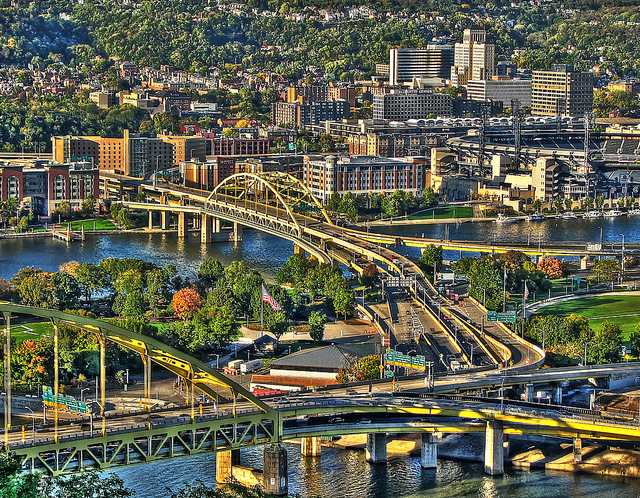 Written by Harold Miller, Pittsburgh's Future is focused on regional issues & strategy. Written by Chris Briem, a regional economist at the University of Pittsburgh Center for Social and Urban Research. A weekly source of information about news and happenings in Pittsburgh. Submit your ideas for what you want Pittsburgh to be in the year 2050 and read what others have posted. Reasons why people love Pittsburgh! A student run publication consisting of articles relating to public policy on a variety of topics. A social organization to connect local bloggers and also contains a searchable database of Pittsburgh regional blogs. The must-read online magazine about the people driving change in our city and the cool things happening here. Equals Change: The Ford Foundation blog covers a range of causes important to the nonprofit sector including education, arts and culture, sustainable development, media, technology and movements shaping the world. National Council of Nonprofits Blog: Identifies emerging trends, share proven practices, and promote solutions that benefit charitable nonprofits and the communities they serve. Nonprofit Quarterly: Provides credible, research based articles for nonprofits about management, governance, philanthropy and public policy. The Nonprofit Times: Leading business publication for nonprofit management targeting nonprofit executives. Independent Sector: Leadership network for nonprofits, foundations, and corporations committed to advancing the common good. Bolder Advocacy: An initiative of Alliance for Justice, this blog aims to demystify and decode advocacy by equipping organizations with knowledge and tools.